It is also an indispensable and important condition to ensure the normal operation of the system when using the PSPNT software for output operations. Questions about how to ensure that the system runs with sufficient resources The author talked about in the related article of Printing Technology magazine. Here only some methods for observing the operation of system resources are added. Of course, computers running the Founder Century RIP are generally not allowed to run other programs at the same time, but this is contrary to the efficient operation of the computer. Then, how to run some other prepresses conditionally while running the PSPNT software of Founder. For the program, let's talk about this issue. The use of Founder PSPNT output software, generally need to consider whether the two hardware device resources are sufficient: First, the computer's own hardware resources, mostly refers to the computer's CPU processing power, memory size and hard disk free space; Second, refers to the network hardware resources, many Refers to the data transmission capabilities of network devices. The more programs that run on a computer, the more resources it consumes, the greater the impact on the output operations, and sometimes even the inability to perform output operations. To use the PSPNT software to perform output operations while using other programs to perform corresponding operations without affecting the normal output of the newspaper layout, it is necessary to run other programs as little as possible. The easiest way to control this measure is to observe the use of computer hardware resources and the transmission flow of network data at any time in the output process (including, of course, when other programs are running) (see Figure 3 and Figure 4). Show). If you are running multiple programs at the same time and you find that the system resources are used excessively, some programs will be given up to run. Founder PSPNT software generally has two versions, an online version and a non-network version. The non-network version of the Founder PSPNT software was not designed to bundle the network cards used by the computer. In the case of a disconnected network system, the output operation can also be performed normally. The online version of the Founder Diagram 4 opens the Local Area Connection window. The PSPNT software has bundled the network adapters used by the computer at the time of design, and cannot output properly when the network system is disconnected. Therefore, in the use of the process, we must pay special attention to the use of the network version of the Founder PSPNT software, must ensure the smooth flow of the LAN before the output operation. Because, in the case of a network disconnection, since the output software cannot be started, even if the newspaper layout is copied to the local computer using the active storage, normal output cannot be performed at all. 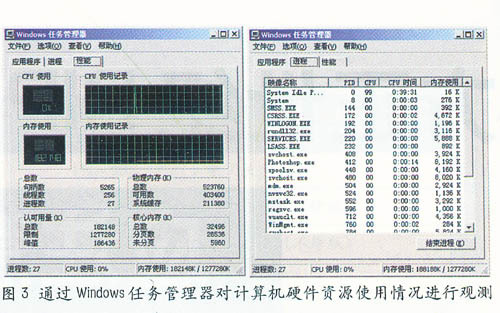 Therefore, when performing output operations, first check whether the network is unblocked. Because LAN troubleshooting is difficult and takes a long time, and the output of newspapers is mostly completed at night, it is difficult to find network accessories. Therefore, the use of the online version of Founder PSPN software is very unfavorable. Therefore, for the newspaper's output should be preferred non-network version of Founder PSPN software. The three key issues when exporting the above-mentioned consumer _LTPSPNq software must be noted during operation. In the event of a problem, it is also advisable to check and eliminate the failure of the computer system after checking the network system, so as to improve the efficiency of the system and ensure normal output operations.